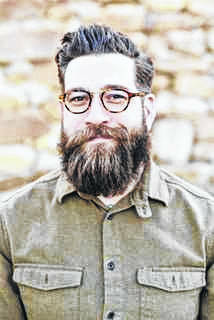 The Keynote speaker will be entrepreneur Todd Boera, owner of Fonta Flora Brewery in Asheville, NC, who has been instrumental in transforming the Asheville area into a popular stop along the craft brewing tourism trail. He utilizes a large percent of locally produced grains and fruits in his brewing operation. Breakout sessions will include locally sourcing products and ingredients, legal and regulatory issues for bottlers, recent legislative changes affecting the craft beverage industry, and tips and resources for starting your own beverage company. The event will run from 2 p.m. to 6 p.m. at the Holiday Inn & Suites (400 2nd Avenue SW, South Charleston) followed by a craft beverage tasting event, Pour It Forward, from 6 p.m. to 8 p.m. The cost is $25 per person. Register at www.rcbi.org/go/craft. For more information, contact Woodrum at 304-781-1670. Article submitted by The Robert C. Byrd Institute (RCBI).